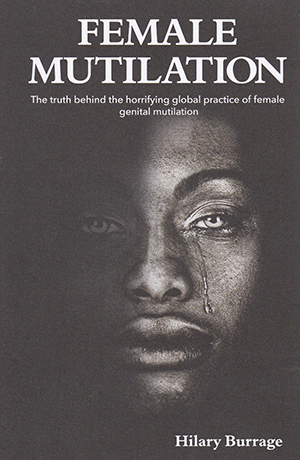 Practice manager Sonia Hall reviews Female Mutilation: The truth behind the horrifying global practice of female genital mutilation. This is the second book by this author on this topic. In contrast to the first, which explored cultures and beliefs from the author’s perspective, this book is a commentary of others’ views. Contributions are male and female and comprise of victims and campaigners from all over the world. While the commentary from victims are emotional and thought provoking, the most memorable are from some male authors who acknowledge that if we are ever going to achieve sustainable results in anti-FGM work, then men must be fully engaged in ending it. One suggested refusing to pay any dowry as a lot of communities are continuing the practice for the monetary reward. Some contributors have had a big impact, others in smaller projects, but all are interesting. Some suggest possible ways of eradicating the problem and many raise the issue of campaigners being gagged by those in power. The book is in a readable style and its contents are appropriate for nurses, particularly those working in primary, community care as well as gynaecology, sexual health and maternity.